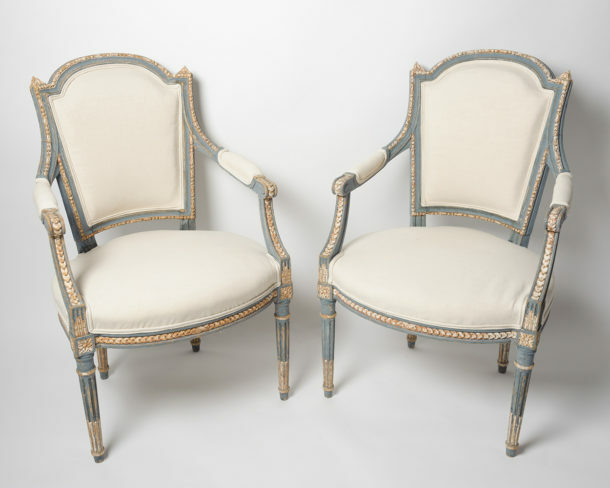 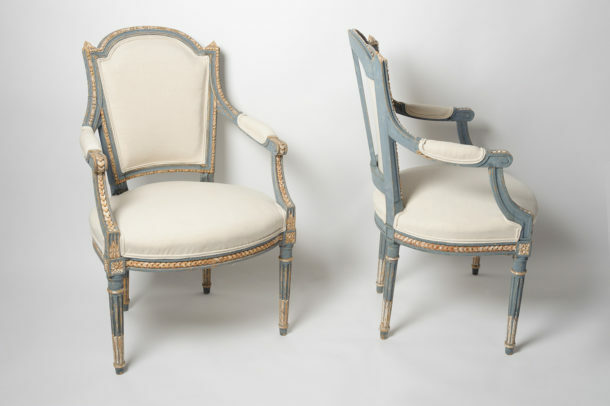 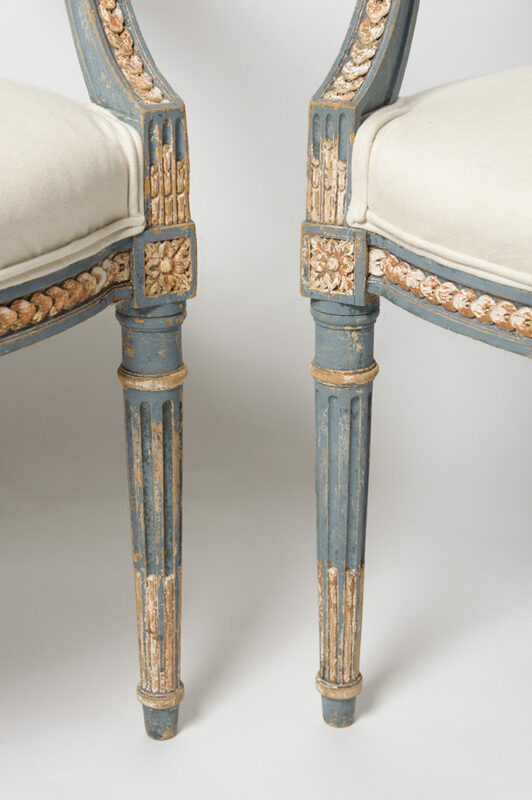 19th Century pair of French fauteuil chairs, lovely original paint. 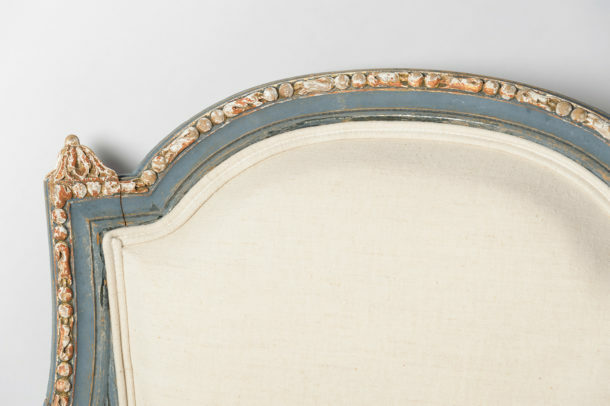 Upholstered in antique French linen. 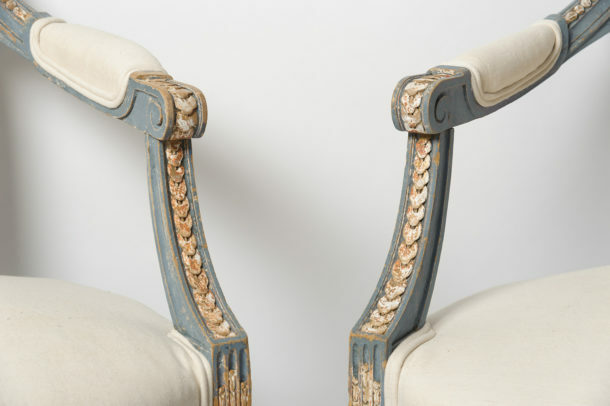 19″ deep in seat.